May 13, 2015, MCLEAN, VA – Corcentric, a provider of cloud-based financial process automation solutions that streamline Accounts Payable and Accounts Receivable functions, today announced a partnership with Nvoicepay, the leader in strategic payment solutions for the enterprise. This partnership will enable customers of Corcentric’s COR360 AP automation solution to easily and quickly pay 100% of their invoices electronically, creating an end-to-end procure-to-pay solution that will increase efficiencies and decrease costs. 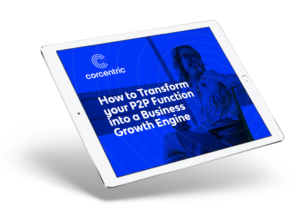 Corcentric’s financial process automation solutions make B2B commerce faster, simpler, and more transparent. Their accounts payable solution streamlines AP departments by removing paper complexity to deliver savings, accuracy, speed, and innovation. Designed and developed by AP specialists, Corcentric’s cloud-based, configurable SaaS solution comes with a deep understanding of how the AP process really works and tackles payables complexity enabling companies to automate their Accounts Payable processes with e-invoicing, three-way matching, automated invoice processing, ERP integration, and payments.